Every morning, before I sip my tea or prepare my breakfast, I like to start my day with a warm cup of lemon water. It’s now a morning ritual that I crave. Boil water and add some fresh squeezed lemon, let it cool and sip. 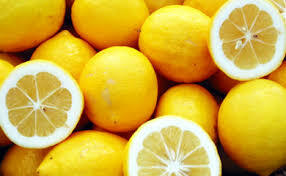 Be sure to have significantly more water than lemon juice, as lemons are acidic and can hurt your teeth, if not diluted. Plan to have this 30 minutes before having any other beverages or food to let it digest. It’s so simple and so beneficial. Lemons are packed with healthy nutrients, including Vitamin C and potassium. Vitamin C will help with immune health and the extra potassium will help with muscle strength, metabolism and much more! Drink a little too much last night? After a night out, the lemon water will help balance out your body by aiding in the flushing of toxins. This also helps with digestion issues. Your skin will love it due to the boost in Vitamin C! Get ready for the glow up! Also, if you’re looking for a natural weight loss aid, pectin fiber found in lemons can curb cravings. Give it a try before (or instead of) your morning coffee and let us know how it works for you!